La Sportiva, world leader in the production of technical mountaineering footwear and clothing, blow out 90 candles on their birthday cake this year: ninety years have indeed passed since the company was founded in 1928 by shoemaker Narciso Delladio from Tesero (Valle di Fiemme, Trentino), almost a century of history that has seen the small workshop “La Calzoleria Sportiva”, constantly grow and expand to become the global brand it is today, world leader in the outdoor sector, especially in the niche market sectors of climbing, ski mountaineering, trail running and high altitude mountaineering through the production of technical footwear and clothing designed and developed in the mountains of Trentino. 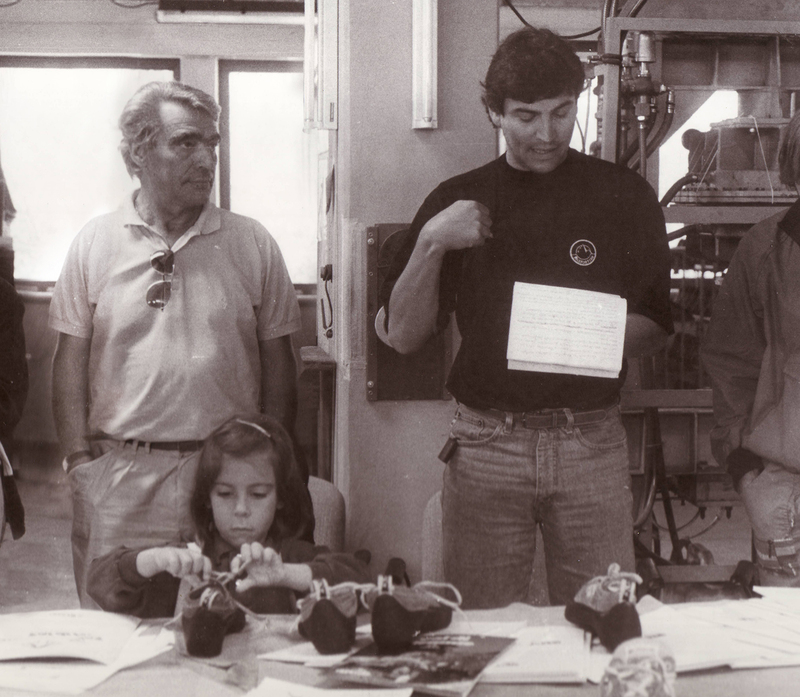 Four generations of the Delladio family, represented today by CEO Lorenzo Delladio and his daughter Giulia, who have continued the family business tradition bringing it to today’s success: over three hundred employees, a growing turnover that will exceed one hundred million euro in 2018 and a new production plant of 15.000 cubic metres that will be inaugurated by the end of the year and will soon lead to the potential doubling of the production of climbing and high altitude mountaineering shoes. Time to celebrate then: after the big event in Trento on 23rd May, and the publication of a 196 page storytelling book, that can be ordered from the company website starting this autumn and which is already available in digital format from June, La Sportiva launches a web-series dedicated to its most impressive failures revealing some stories and goings on behind- the-scene of products that today represent some of the company’s greatest innovations of the passed 90 years. 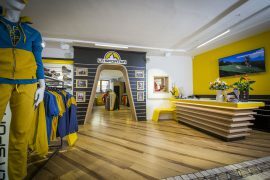 Through the words of the protagonists of today and of years gone by, including athletes of the calibre of Manolo, Simone Moro, Reinhold Messner and Adam Ondra, La Sportiva tells a story made of perseverance, resilience, passion and dedication. 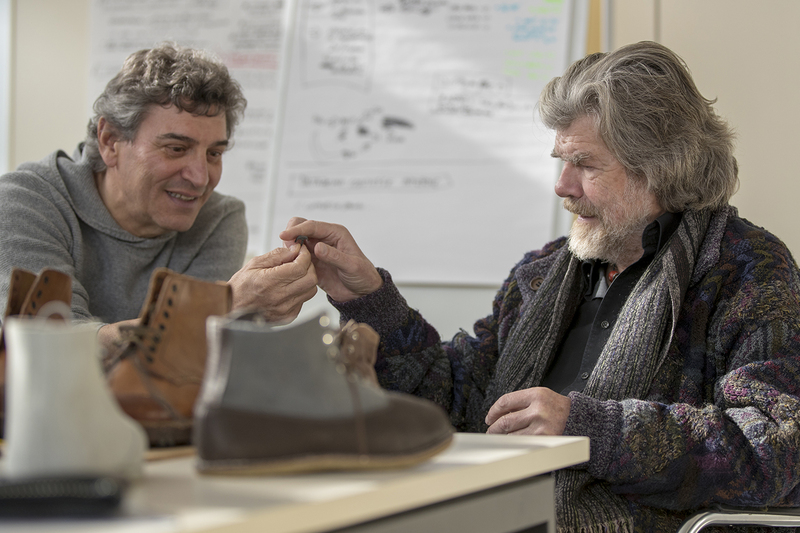 And it does so starting with single episodes like the launch of the famous series of Trango mountain boots back in the 90s and the creation of the top secret “Spanish compound” that was on the feet of all climbers everywhere in the 70s but that was in fact produced in Rovereto (TN) from racing car tyres. The Web-Series is already available on the company youtube channel and the release of the last episode, the “Spanish compound” will coincide with the date of Rock Master in Arco on the 27th of July.